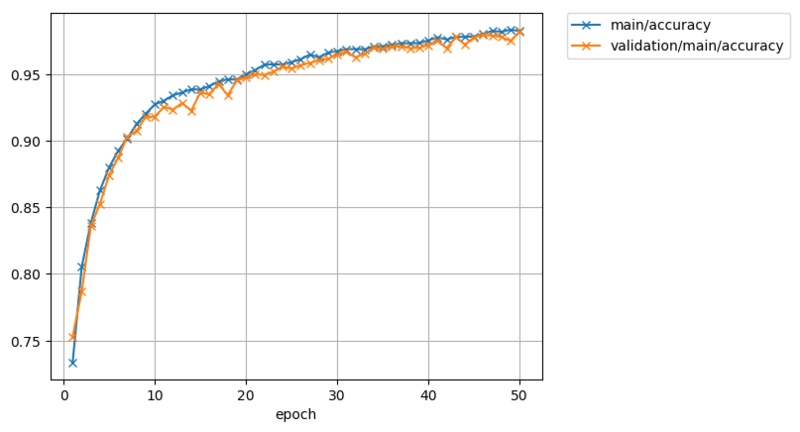 Using Sequential allows us to define the neural network model in a compact format. Note that in the two code snippets above we have not specified the size of the input layer. 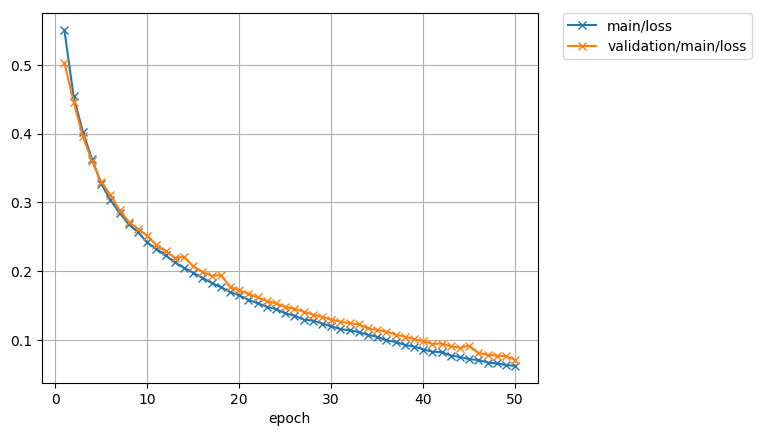 Once we start feeding the neural network with samples, Chainer will recognize the dimensionality of the input automatically and initialize the matrix for each layer with the appropriate shape. In the example above, that is 44×22 for the first hidden layer, 44×44 for the second hidden layer, and 1×44 for the output layer. Now that we have the training iterator and optimizer set up, we link them both together into the updater. The updater uses the minibatches from the iterator, does the forward and backward processing of the model, and updates the parameters of the model according to the optimizer. Setting the device=-1 sets the device as the CPU. To use a GPU, set device equal to the number of the GPU, usually device=0. Finally we create a Trainer object. The trainer processes minibatches using the updater defined above until a certain stop condition is met and allows the use of extensions during the training. We set it to run for 50 epochs and store all files created by the extensions (see below) in the result directory. Extensions can be used to execute code at certain events during the training, such as every epoch or every 1000 iterations. This mechanism is used in Chainer to evaluate models during training, print progress messages, or dump intermediate model files. First, use the testing iterator defined above for an Evaluator extension to the trainer to provide test scores. If using a GPU instead of the CPU, set device to the ID of the GPU, usually 0.